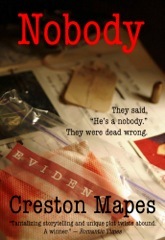 Interview with Creston Mapes, Author of “Nobody”, an Amazon Best Seller – Comment for a FREE BOOK!! I recently had the honor of interviewing Creston Mapes, an Amazon Best Selling author. Creston is an author who is on fire for the Lord, wanting to shine like a beacon to the world. I hope you enjoy the interview. Please make sure to leave a comment below with your email address for a chance to win this best seller! Creston, tell us a little about yourself. Ahh, another writer who was bit by the bug from an early age…Tell us three things about yourself that would surprise your readers. I love to paint (watercolors). I’ve worked from my home as a marketing copywriter for 20 years. I have four kids ranging from 11 to 22. I did love books and TV as a boy. My mom would read to me when I was little—books such as Caps for Sale and The Little Engine That Could. I read The Hardy Boys mysteries and Agatha Christie, and later all of the Joseph Wambaugh books, Sidney Sheldon, and Irwin Shaw (especially Rich Man, Poor Man). I like to read what I like to write…books with tension on almost every page. Cut out all the boring parts. Flabbergast the reader. Discombobulate the reader. Make them “have to” turn the next page. Make your chapter openings and endings real grabbers. Make everything written count toward moving the plot and premise forward. You, the author, cannot be heard. Your voice/opinions cannot be heard. Only write from one character’s point of view at a time. While in that POV, you can only feel or see what that character feels and sees. Then you shift to another character to write from his or her POV. That is what serious writers do. Thank you for sharing those writing tips with our readers. Now share something about your day-to-day life that might help a reader to feel as though they know you a little better. Up at 5:30 a.m. to exercise and get the family off. Quiet time w/God. COFFEE. Write fiction from 8:00 a.m. to 12:30 p.m. each day. Then I write “paying” work in the afternoons, which, for me, is marketing copywriting. I hope soon that the novels will make enough income to do that full time. When in the middle of writing a novel, it’s tough to be 100% focused on the family when you have a story running through your head and you are trying to figure out what’s going to happen next when you sit down at the keyboard the next morning! Also, my family thinks it’s funny that almost everywhere we go, I am saying, “There’s a book idea…there’s a character for a book…that’s going in the book.” They are often amused. I totally agree it is a struggle to balance family and writing and a job. When did you first begin writing, and why do you write still? I started writing at Bowling Green State University…for the college magazine (Black Swamp) and bits and pieces for the campus newspaper. I had a great Journalism professor, Barb Austin, who freelanced for National Geographic and convinced a lot of us we could make a living writing. Fear Has a Name with David C Cook will come out in 2013, followed by two others in that series. Book one (Fear) is about a kid who was unwanted by his religious zealot parents and bullied by classmates. As an adult he goes back to find the only girl who ever cared for him, but finds her happily married with two young daughters. Meanwhile, her reporter husband is working on a missing persons case—a pastor who has disappeared with a bunch of medication and plan to take his own life. The stories collide in what I think is my best book yet. Being a novelist is a TOUGH game. You’ve got to have thick skin in order to take a lot of rejection. It took me five years and well over 150 rejections before I found an agent, then a publisher. I’d written two full-length novels and many more partial novels when there was no promise of getting a contract. When I did get a contract, it was for three novels in three years. Even then, they didn’t sell all that well, so I had to go back to freelance writing to make a living. 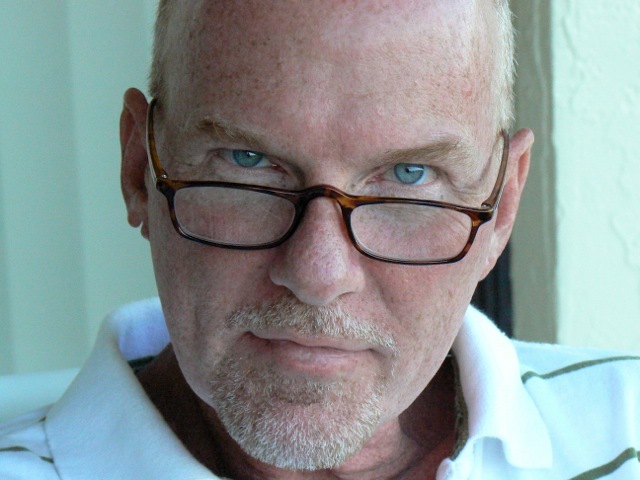 Now I’ve signed another 3-book contract for thrillers that will come out in 2013 and 2014. So I have been writing Fear Has a Name on and off for a few years. Once it got picked up by Cook, we decided it would make a great series. I’m still building a reader base and not sure my books will ever sell enough to write fiction full-time. So the entire venture has been kind of a ‘gamble,’ if you will. I have compassion for hurting souls, people who are shy, outcasts, overweight, bullied…I hope we feel compassion for the antagonist in this story. Your love for people is evident. What are you working on right now? Book two in the new series for David C Cook. Everyday life. I like realistic stories. Not crazy about fantasy. So, I look at everyday life situations and imagine, “What if….” I also draw from past experiences, traveling, people I’ve met. I was a reporter, so love writing about reporters. Names are so important. I plug in names as I’m writing and substitute different ones till they feel right. I make up names and do Internet searches. When I hear neat names, I try to remember them and plug them in where I see fit. Also, I’ve posted a need for a character name now and then on Facebook and gotten a ton of great suggestions. I don’t plot so I start out with a few characters and some ideas, and find out what they are like each day as the story unfolds. This way, I don’t have planned out what they are going to do. As I get to know them, they show me what they are going to do. So they surprise me at times. I am a “pantster” all the way. I’m a plotter in the beginning and then I fly by the seat of my pants and let my characters lead me through the story. What are you favorite themes to write about? Redemption. Man’s frailty and faultiness. People who resemble scribes and Pharisees—and how they are not the “true” religious. Hope in Christ. Transformation. God’s power in peoples’ lives. Does your faith affect your writing? Absolutely. I’ve made a pretty good living as a freelance marketing copywriter. The only reason I wanted to try fiction was because I felt God leading me to do so. Wherever God has me spiritually when I’m writing a book, that comes out on the pages. Each book I look back on, I am amazed how God has used my personal, spiritual condition at the time to tell each story. Why do you keep writing, Creston? I want to make a full-time living at writing fiction. That’s one. Two: I have heard from so many readers that my books have impacted…from drug/alcohol addicts to convicts to cancer victims. They’ve said my books have helped them come closer to Christ. That is why I keep at it. When it’s a calling, you can’t help but do it. Do you put yourself into your main character, or do you find yourself borrowing from family or friends as your characters develop? Yes I put a lot of myself into the main character, but as I said, I try to keep each character unique to his/her personality. I think that takes time and hopefully I improve at that with each book. Is there any scene in your book that came from real-life? All of them, yes. The new one opens with a guy breaking into a house with the lady at home with small children. That happened to us years ago in Atlanta. (They got out safely.) So, yep, many of my book ideas have come from real life situations/people/places. If you could interview any character in one of your books what might that character say? Why? 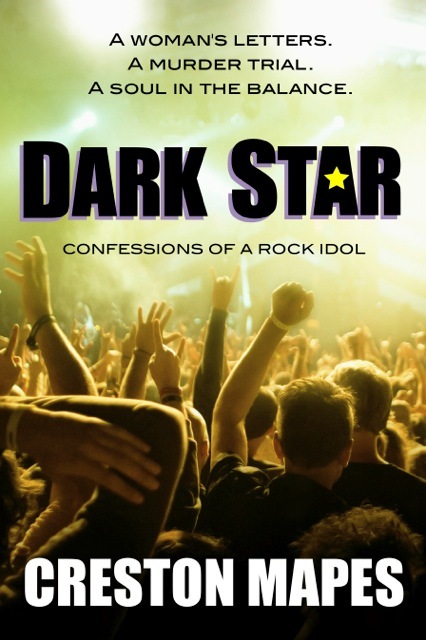 Everett Lester from Dark Star…a millionaire rocker on trial for murder. He gets letters from a teenage fan in Kansas and the girls’ letters really touch his dark heart. There is a Rolling Stone interview with Everett in Dark Star…so I guess I kind of did this already. Can’t answer that one and hope I never have to. That is exactly how I feel! Have you won any awards with your writing? Dark Star won third place for Suspense at ACFW. Write. Don’t talk about it, plan about it. Just shut the door and start typing. Read a lot about the craft of writing fiction or whatever you write. Read a lot of great fiction. Study the craft. Read Noah Lukeman and Donald Maass. Creston, thank you so much for taking the time out of your crazy schedule to allow me to interview you. It looks like your writing career is one wild ride! Leave a comment about the interview with your email address for a chance to win a free book! Sherri, I wanted to thank you for having me today! Really appreciate it. I loved the book “Nobody”. I downloaded it when it was on the Kindle for free. It had many great lessons in it such as: don’t judge people by their appearances, and the fact that how we treat people speaks volumes for the person that we are and the things we believe in. It was an awesome Christian book!!! I loved it!! Nobody was a wonderful book. Once I started I couldn’t put it down, plus it was filled with many thought provoking messages for both believers and non-believers. I look forward to reading more of Creston Mapes’ books. Carol, you won an ebook of your choice from Creston! Please send me your email address. Thanks! This was an amazing article. 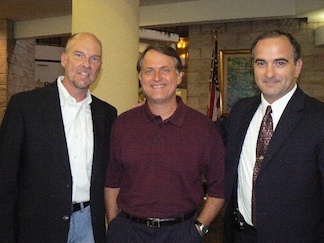 I had the honor of meeting Creston a few years back while he was doing a book signing at our local neighbor library. I first discovered his novel, Darkstar while my wife and I were walking through a local bookstore. I picked up the book due to the interesting cover. Before I realized it, 45 minutes had passed and I was hooked into what became a love of great story writing. I had to own this book and the sequel which followed, Full Tilt. I downloaded Nobody from Amazon and LOVE IT!! It is rare in these days to find a great moving story that everyone can relate to. I tell everyone nearest to me about this great piece of literature and of Creston and his skills. KEEP IT UP!!!! Oh love the interview thank you for a chance to win! Brenda, you won an ebook of your choice from Creston! Check your email address. Thanks! Let us know how you like Nobody, Maggie. Hi Creston 🙂 It’s nice to be able to learn more about you. I like social media and all, but these interviews really help bring authors out as being real people. Your books sound very good. I once had a man try to break into my apartment, and to this day I praise God my very humongous brother was there! Cheers to you, and thank you Sherri for bringing Mr. Mapes here today. Amanda, you won an ebook of your choice from Creston! Check your email. Thanks! My daughter is a huge Creston Mapes fan!!! Karry thanks for telling me. Have her drop by my FB page because that is were I keep up with readers!! I really enjoyed this interview Sherri! Creston, thanks for sharing details of your life as a writer – very informative and interesting. I read a variety of genres but my favorite by far are suspense, thiller, mystery type books. As the saying goes…True life is stranger than fiction…you probably have a whirlwind of material at your fingertips everyday! Cool Lisa. We appreciate your dropping by! Man, you’d be fun as a dad! Creative, imaginative, fun, seeing new ideas for a book when out and about. I love the whole aspect of what you put in a novel and what you want the reader to get from it. I would love a copy of Nobody. Please enter me. Our family does have fun, Linda. I hope you win! Hope you win one Melanie. All my eBooks are $2.99 now in the Kindle Store. Melanie, you won an eBook! I’ll send you an email. Very interesting interview – and a very interesting writer. I will have to read some of his work. thanks for having him. Creston Mapes is an oustanding fiction writer who weaves The Truth into his writings! I loved Nobody and can’t wait to read the upcoming series! Enjoyed the interview. Thanks Tisha, in the meantime, do read Dark Star and its sequel, Full Tilt. (Since the new series won’t hit till 2013). I haven’t read any of Creston’s books, but if he loves Joseph Wambaugh… I’m sure I’ll enjoy his books! Thanks for the chance to win. I don’t know whether it’s too late to chance winning Creston’s novel, but I’d love to read any of his books! We’ve still got a day or so left. No worries! I have not had the opportunity to read any of your writings, but would be interested. Here’s hoping I win a book an just that great opportunity to read… 🙂 Wonder if it would be a good book to place in a Christian school library for the high school kids to read? I neglected to say in my previous comment that I found Crestor’s comments interesting and encouraging. I, too, read to my 5 children just as his mother did to him. No authors yet in the family, though. 😦 Here’s to much success. Another new to me author. This sounds like a very good book and one that I would enjoy reading. Hope you get one Jo. Jo, you won your choice of books! Please leave me your email address and I’ll contact you. Thanks! Love His books and am excited to see that he has some new books coming out. I would love to read the book, ‘Nobody’! It sounds very intriguing! I’m so tired of boring books! My book club is reading “Nobody” for October, so logged on here to read more about the author. Thanks for all the info! Wow just checked back here and appreciate all of your input and kind words. Thx for having me Sherri. I think you have brought more traffic to my blog than any other author!